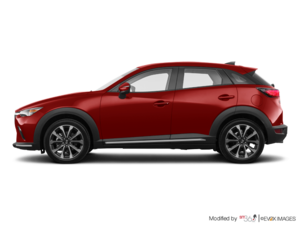 This spring, we started to follow up on the much-noticed arrival of the all-new 2019 CX-3 in every dealership across Quebec, in Montreal and Laval, and of course at your Spinelli Mazda dealership in Lachine. So what new features does it offer for this new millesimal? First of all, it sports new 18-inch alloy wheels, a refreshed front grille where there are now 4 horizontal bands instead of 7, and chrome moulding now appears on the front spoiler, also extending to the back. A few black trims and accents were also added around the pillars and fog lights, and the taillights and headlights have a new design. Furthermore, the SKYACTIV 2.0-litre 4-cylinder engine generates an additional 2 horsepower and 2 more lb-ft of torque for totals of, respectively, 148. 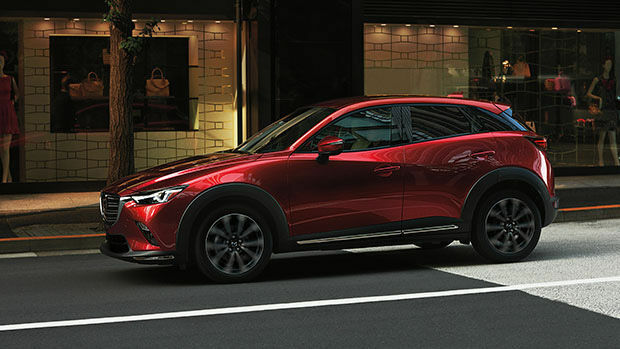 The G-Vectoring control is now featured on the 2019 Mazda CX-3, and its steering and suspension were upgraded as well. The interior is all the more comfortable and quiet, thanks among others to wider seats that offer better support, a new front centre console with armrest and a storage compartment, thicker door panels and a thicker rear window, for better soundproofing. The rear passengers will also enjoy a folding centre armrest with cup holders. Stay informed and find out more from your Mazda Spinelli dealership. One of our counsellors will be happy to help you discover all the details about the famous Mazda unlimited mileage warranty, not to mention the current Mazda promotional offers, both for new vehicles or service. We offer you tailor-made Mazda financing solutions, based on your budget and your needs. Spinelli even provides 2nd and 3rd chance credit. You can notably fill out an online application for credit pre-approval, in a secure, efficient and especially prompt manner, and one of our experts will get back to you as soon as possible. So, what are you waiting for, drop by for a coffee!